The core feature of this split-level home is the striking stepped entryway, which leads to the central foyer and stairwell. 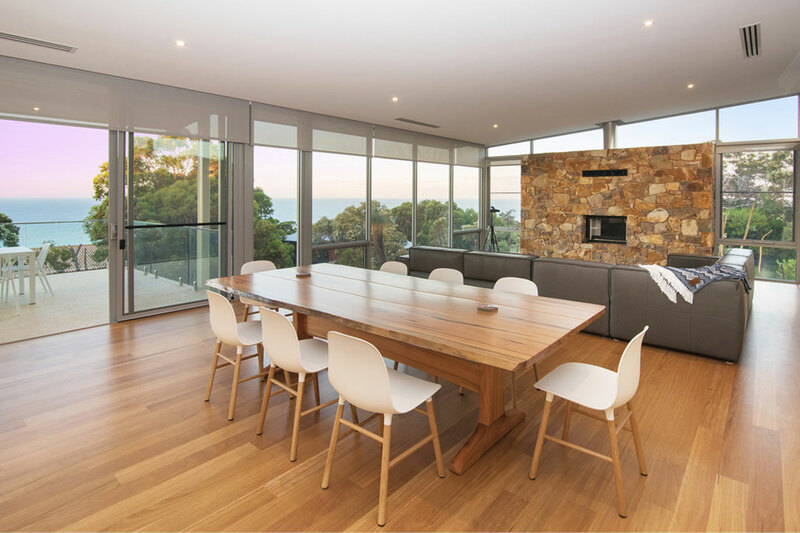 Featuring double-height glass walls that look towards Geographe Bay, the property provides breathtaking panoramic views. The clients wanted a passive-solar holiday home featuring simple lines, expansive low-maintenance spaces and high ceilings. It was also important that the property connect seamlessly with the South-West landscape. 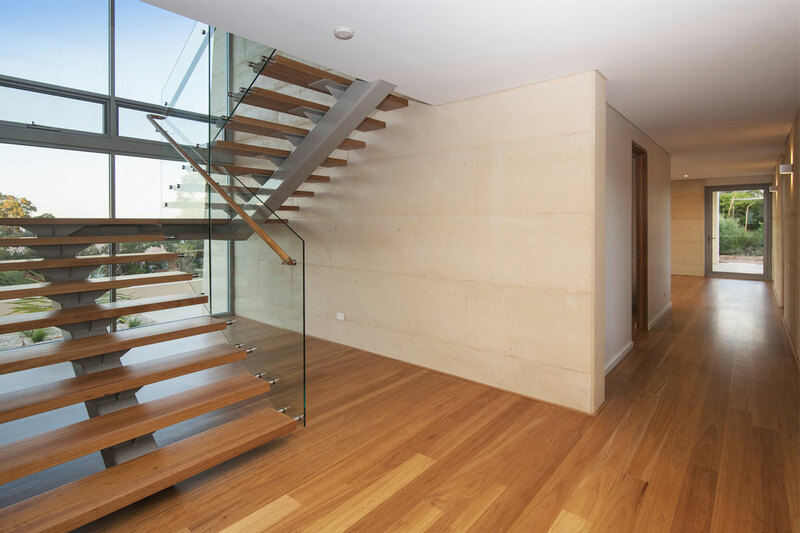 Cape Constructions achieved these requirements by incorporating a series of large rammed-limestone walls into the design, which includes narrow slot windows for optimum privacy. Lightweight framing and floor-to-ceiling glass feature on the northern side of the home, while the roofline floats above a perimeter of clerestory glazing, which creates a stunning visual effect. 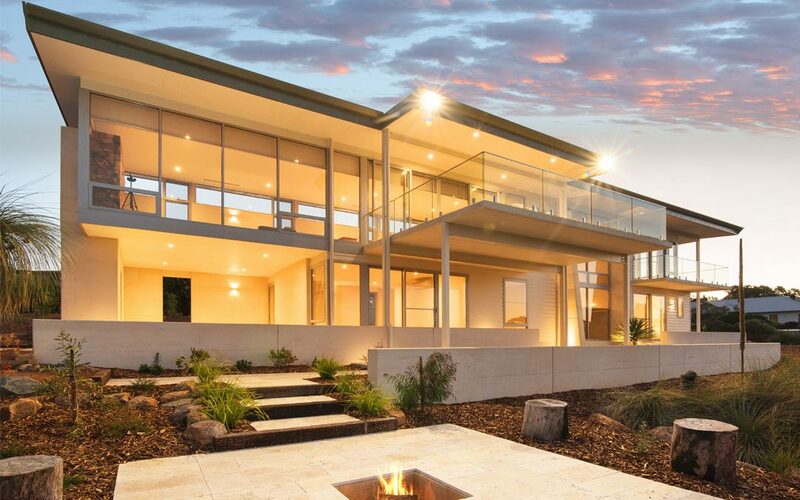 Designed by Mark Webster Design, the home is situated on a sloping block. The site’s inclination presented a unique challenge to the architect and building team, but through close collaboration they were able to deftly overcome this complication. 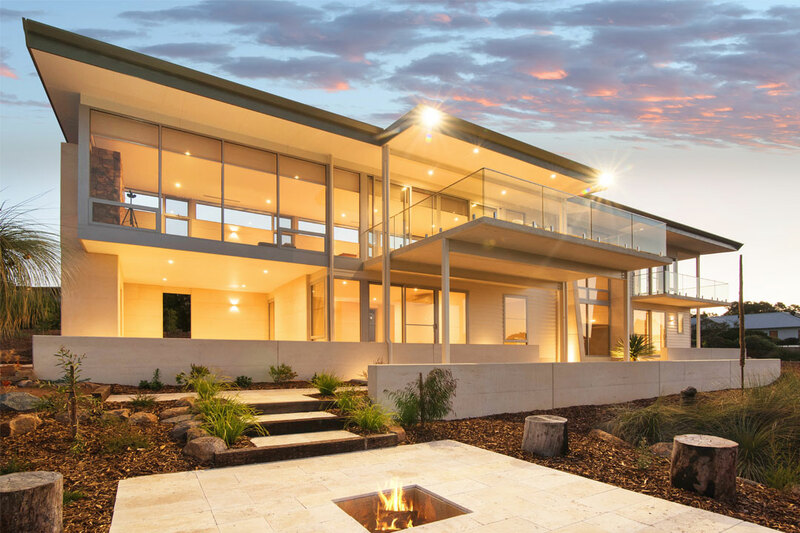 Based in Dunsborough, Cape Constructions builds homes from Busselton through to Yallingup, Eagle Bay, Margaret River and the surrounding South-West areas. It completes approximately four new homes each year, as well as some renovations and a number of commercial projects. Cape Constructions was founded in 2007 by Charles Grist and David Norrish. The constructions manager, Greg Hough, has been on board since the company’s inception and is now a partner. 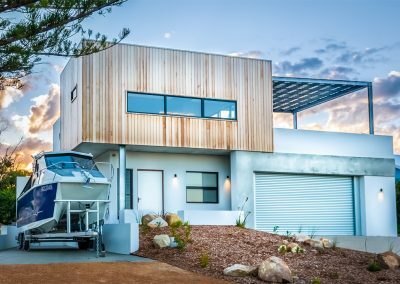 Cape Constructions has won more than 30 awards for its work since it first entered the Master Builders-Bankwest Building Excellence Awards for the South-West region in 2010. It has been successful in the Building Excellence, Contract Homes, Supervisor of the Year, and Small Builder of the Year categories, among many others. Most recently, it took home the Best Small Builder award for 2017. Offering a complete ‘design and construct’ service, the company has a network of designers on hand who work with the team on the job to design the style of home you desire. Cape Constructions maintains its high level of quality through employing the best tradespeople and working closely with the client, designers and architects to achieve the perfect result, every time.